Having a real estate professional in your corner means having someone who will go the extra mile in finding that home that is just right for you or will list your home utilizing today’s technological advances in order to get the most potential buyers in your home and therefore, top dollar. Pairing you with a mortgage professional who can analyze your situation and provide a loan solution that is right for you. Assessing your wants, needs, and budget to determine the most advantageous plan for finding you the right home. Searching on-market and off-market listings relentlessly until a match is made. Crafting an offer that is strong and negotiate resolutely on your behalf. Paying close attention to all the details between the contract and close to assure that the transaction concludes as expected. And for additional peace of mind Todd includes a home warranty at his own expense. When you and Todd are working together, he is laser-focused on you and your needs. Like a rhino defending his territory, Todd resolves to makes your needs and wishes known and won’t back down from obstacles. 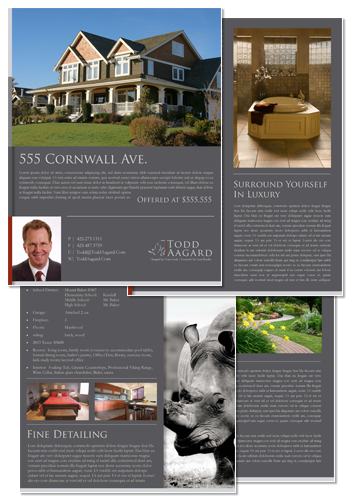 If you need a firm advocate, Todd is your REALTOR®.